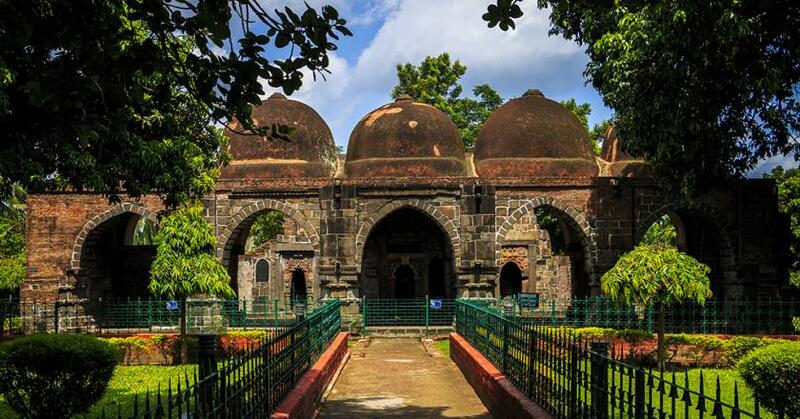 Zafar Khan Ghazi Masjid at Tribeni in Bengal, India was built on a demolished ancient Vishnu Temple in 1298 CE. 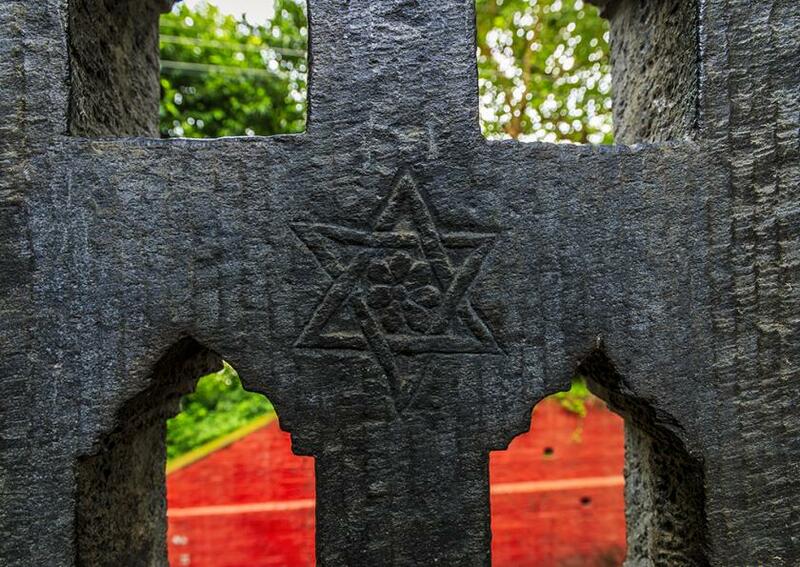 Tribeni is a town near Kolkata and was a meeting point of three rivers Ganga, Jamuna and Saraswati. 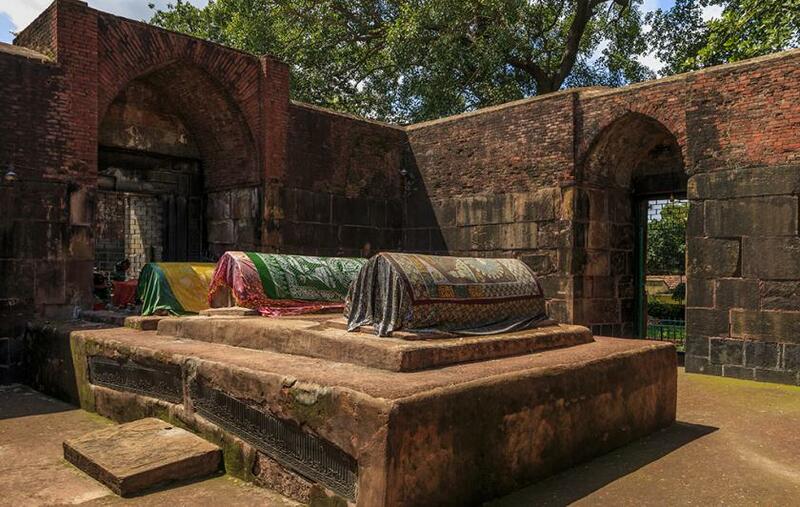 Inscription on Zafar Khan’s tomb was translated by british office H.Balochman, which read as “Khan the lion of lions has appeared by conquering the towns of India in every expedition and by restoring the decayed religious institutions. And he has destroyed the obdurate among the infidels with his sword and spear and lavished the treasures of his wealth in helping miserable”. The title Ghazi is given to an Islamic warrior who has slaughtered and destroyed the kaffirs (non-believers). 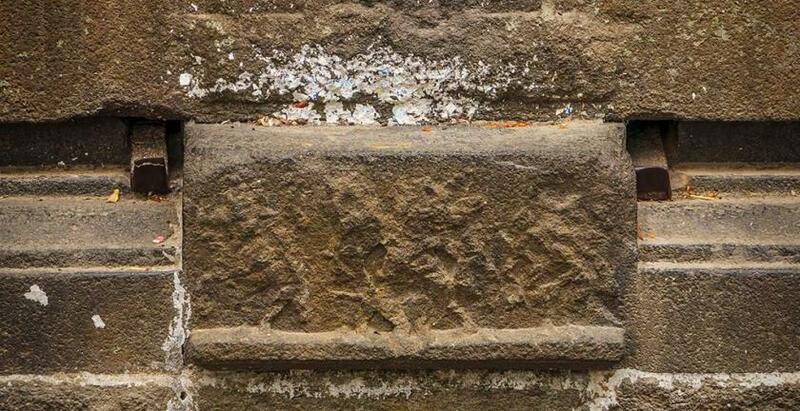 One can notice hindu temple architecture on entrance doors, walls and pillars. 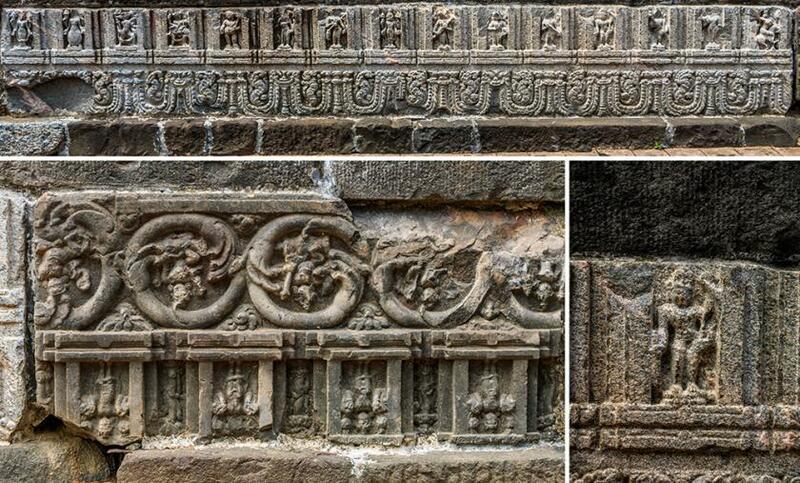 Details regairding history of Vishnu Temple like who built it and when are still unknown. British officer D.Money of the Bengal civil services who had met with the Khadims(servents) of Ghazi Zafar Khan’s muesoleum in the year 1847 scanned some of the documents given to him by the Khadims, the documents clearly stated that Zafar Mohamed Khan along with his nephew shah Sufi came from western India to slay the infidels (Hindus) of Bengal and turn them to Islam. 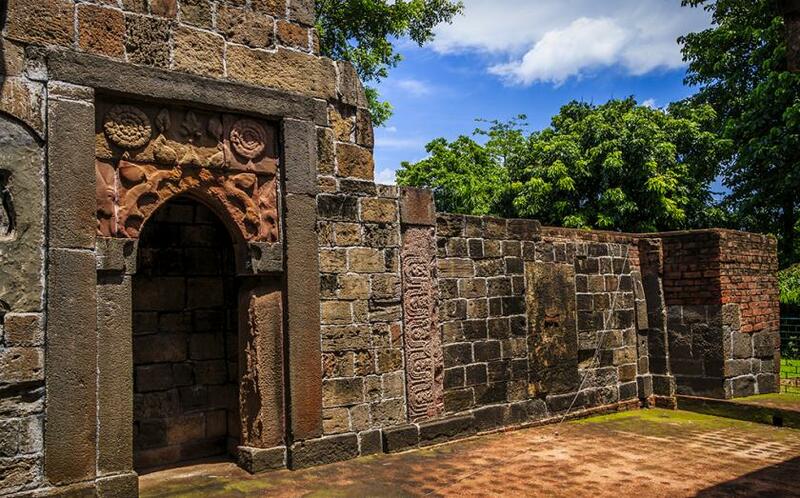 It mentions that Zafar Khan fought and converted local ruler Man Nirapati to Islam. It was the second battle with the ruler Budheb that the all conquering Ghazi met his fate by having his head chopped off and his torso buried in Tribeni. Mosque’s east door clearly resembles at temple entrance architecture, while the Mangal Ghat is full of designs on temple walls. 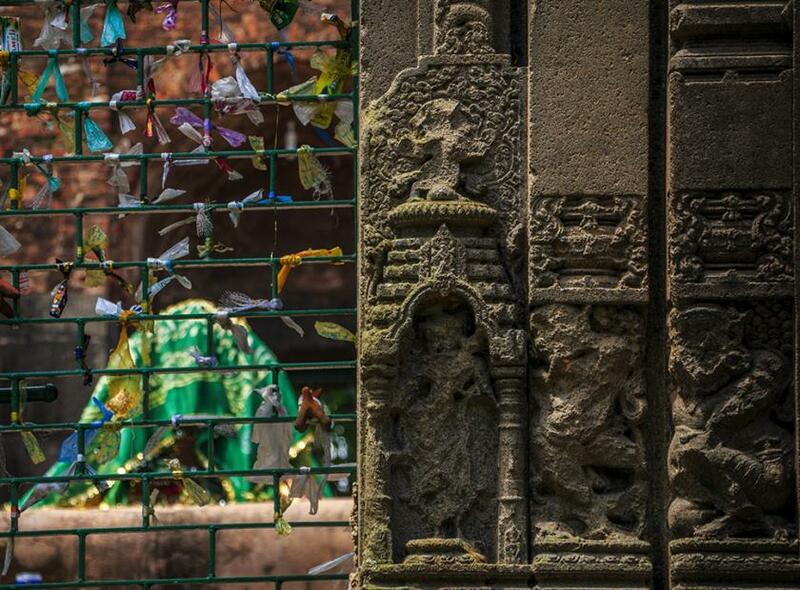 Metal pieces in below picture are from Battle Axe of Zafar Khan, which he used to destroy temple walls. 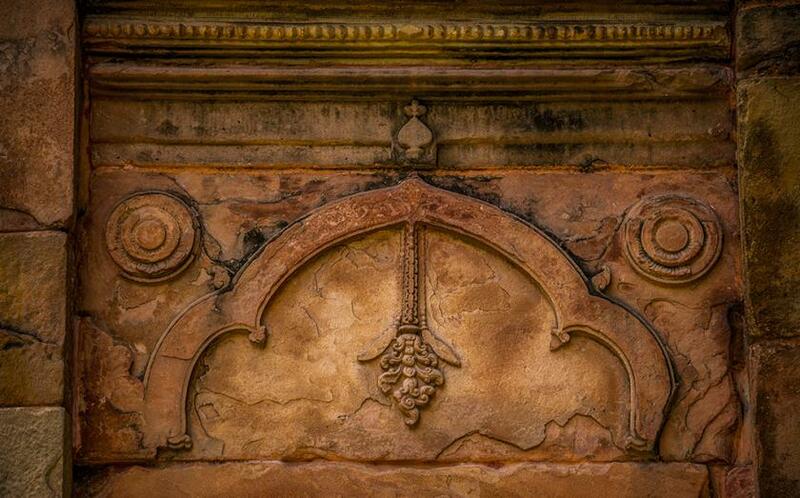 Motifs of Chain and hanging flower on western wall of Masjid. Motifs of Chain and Lamp on another wall of Masjid. 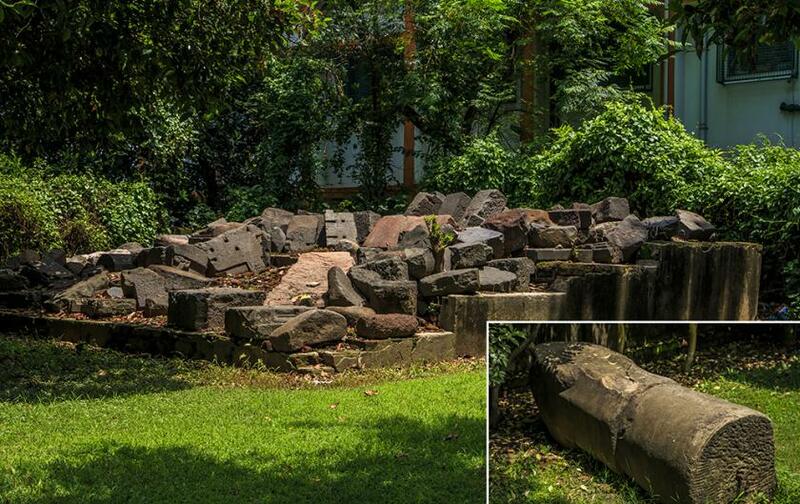 Broken Temple Pillars were found behind the Masjid. 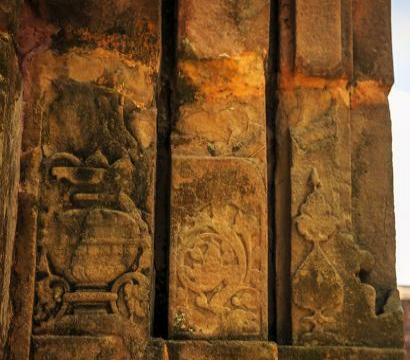 Door Frame towards north also shows temple architecture and designs. West Chamber of Temple, where one of the temple faces is hidden by bricks. 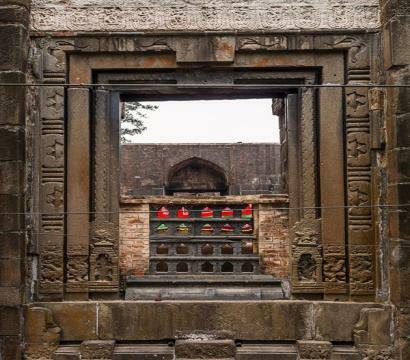 Temple doors can be seen on North, South and West sides of this Masjid. This Masjid has a wall with the Vedic Anahata Chakra. 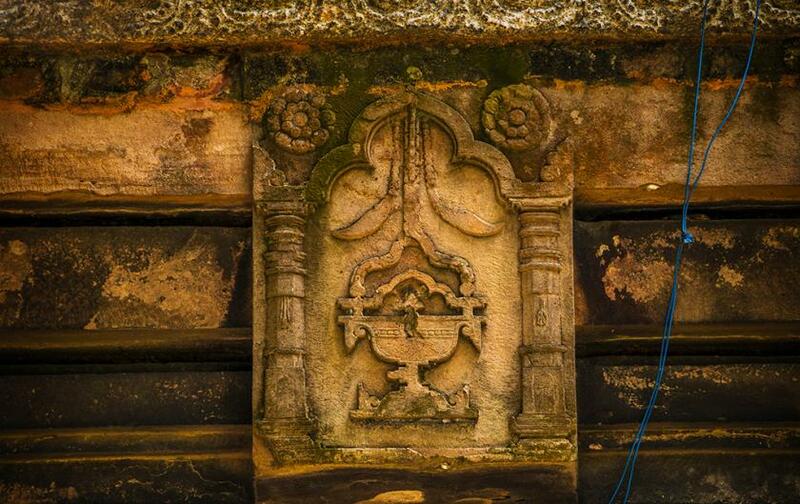 Which is also the Shatkona and also represents the cosmic dance of Siva as Nataraja. 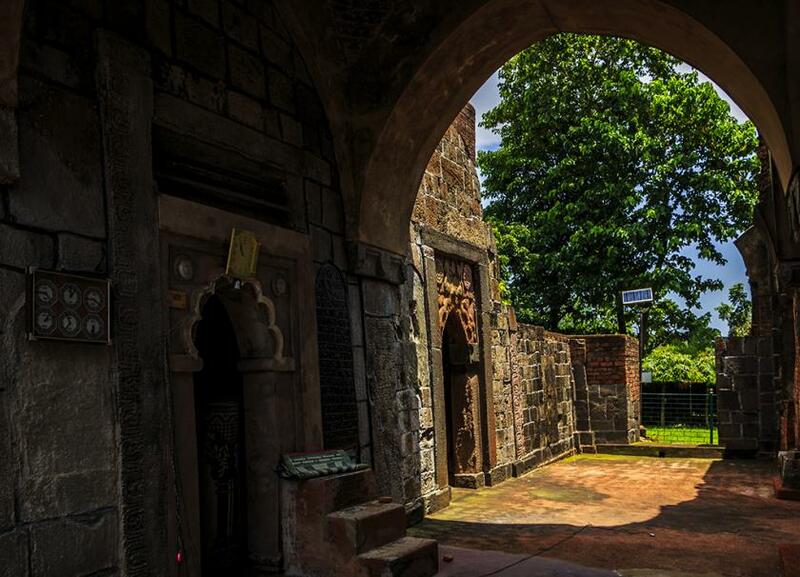 Zafar Khan Ghazi Masjid has many such walls which prove that it was once upon a time a Lord Vishu Temple. 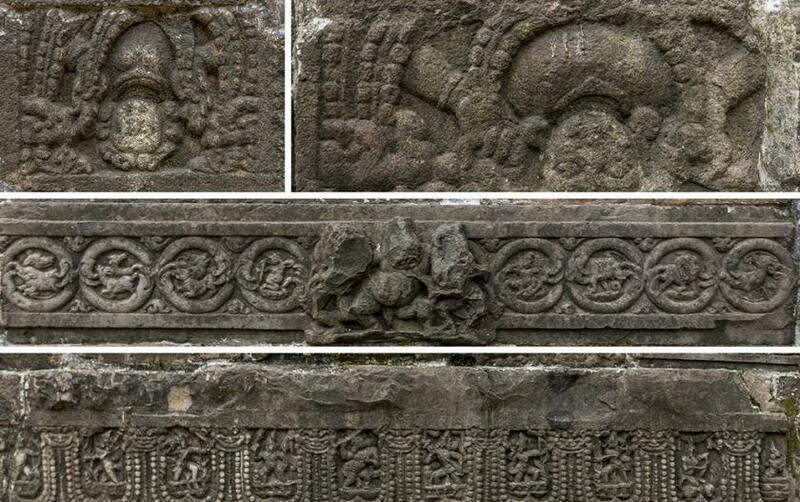 The Dasavatar carvings on North wall also proves it to be originally Vishnu Temple. 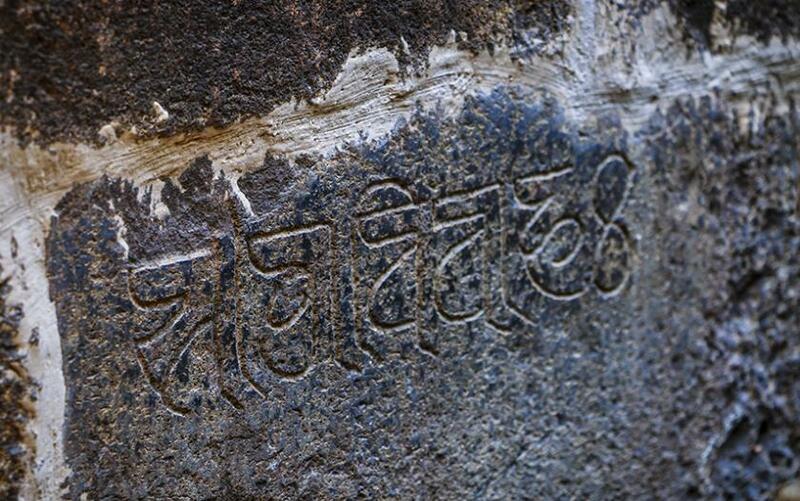 Sanskrit inscriptions can also be found on one of the temple walls. 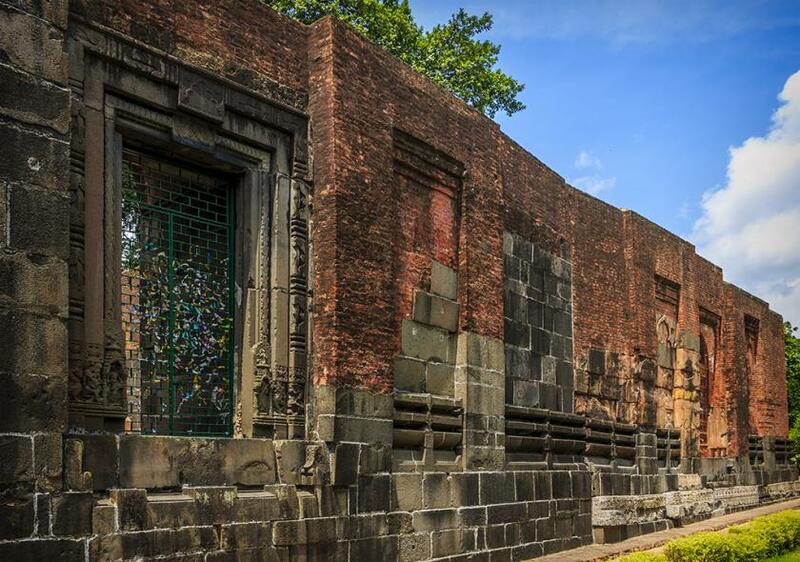 Also those walls have stories of Ramayana and Lord Krishna. 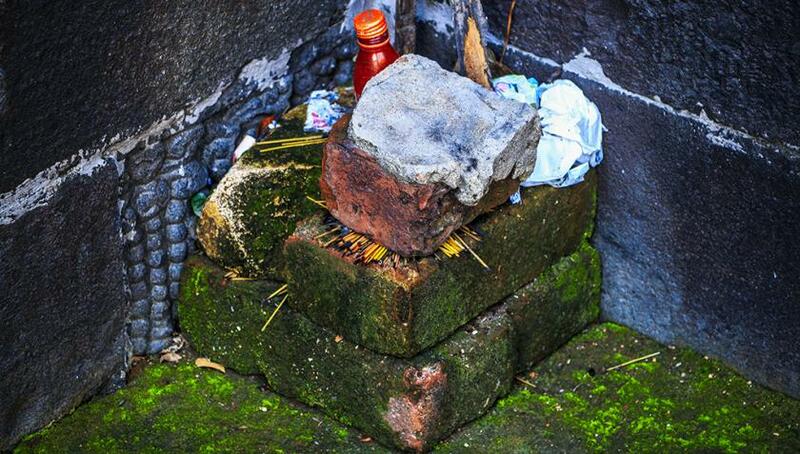 There is a tomb at west face of this temple. 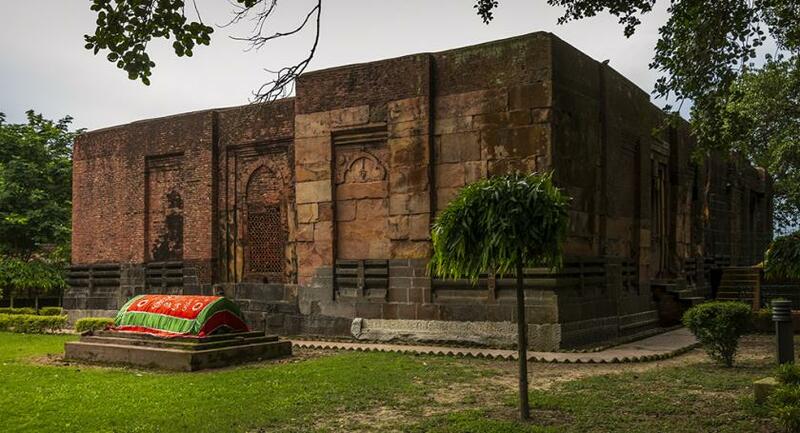 Zafar Khan Ghazi Tomb (right side one) is inside along with two other tombs, out of which one belongs to a female.